You want to know what Christ looks like to me a lot of the time? This. 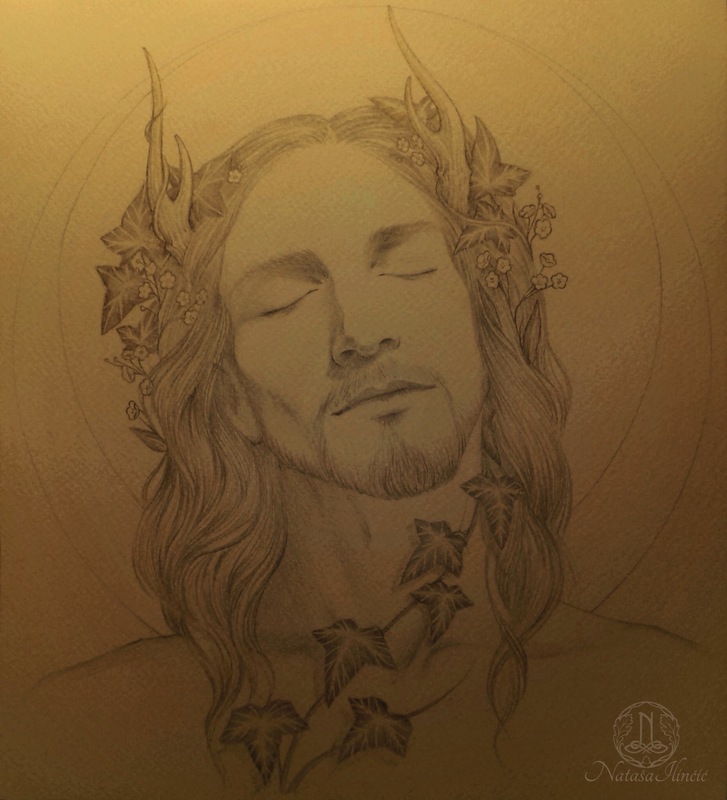 In my syncretist universe Himself=Hermes=Cernunnos=Christ. He whispers to me of madness. 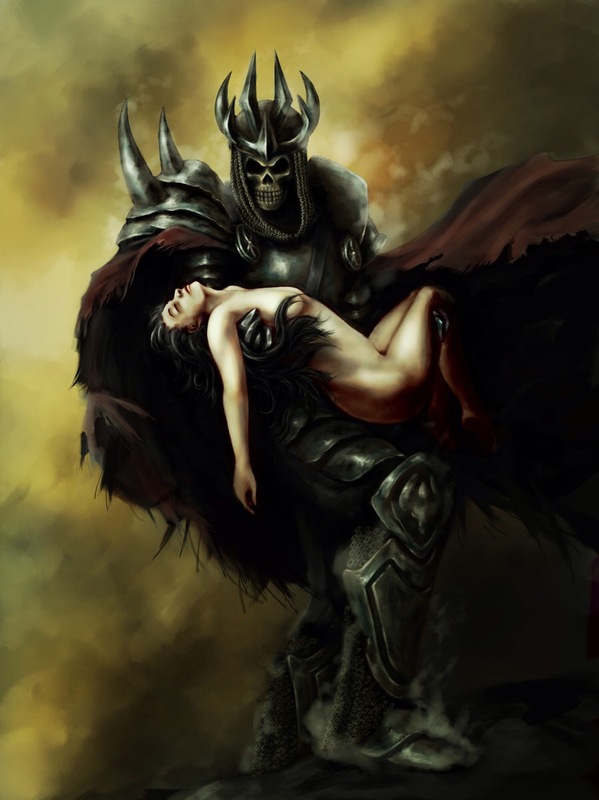 He comes clothed with darkness and death, the heavy scent of musk and leaf rot. Fresh death in His eyes. There is rage just below the surface and it seems to short circuit every now and again. There’s palpable tension and the colour of His eyes will flicker, to darkness and back. He keeps His distance…sort of. Right now He moves in silence mostly, not because He doesn’t speak but because it’s as if someone has turned on mute. I catch flickers of sound, as if the silence is a wind that dies down. There is the scent of fire, the heat from the bonfire in front of me and behind Him. He wears…robes? And skins and bones. Almost like a Shaman; The armour that I always associate with Him is there underneath but the metal has turned to leather. His…mojo?…is building, He is getting ready. I apologize to the owners of the images, I don’t have the spoons to get each link. 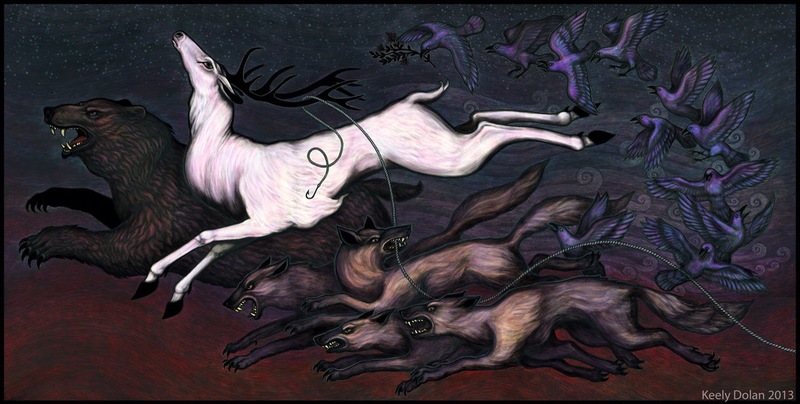 I searched “the wild hunt” on Google Images. As I mentioned in a previous post things have been a little hectic in my Spiritual life. My adventures in Monotheism have ended, I’ve taken many good lessons from it. The main one being that while I do believe that all Paths lead to the One God, or the Source, not ALL Gods are ONE God. They are all unique individuals who deserve to be treated as such. My studies of the Abrahamic Faiths helped me to overcome my unfriendly knee-jerk reaction to male identified Divinity. I’ve always been much more comfortable around Goddess’s. The Gods I find either uninteresting or overwhelming. It seems with the female based energy I feel more at home because it is what I can most relate to. While male energy has a much more visceral reaction from me. While I am not exactly over the fear, and yes that is what the problem is, fear, I am definitely taking some very big steps. I had very vivid dreams with Him, three days in a row. Dreams where HE was ACTUALLY there, in the flesh, so to speak. I’m not going into details as to what happened, they are for my eyes only, but I am feeling much more at ease. My sense of self-worth is higher. He hasn’t made an appearance since, regardless of my requests (asking, demanding, pleading) but He has been working through others. I was trailed by Crows, Bald Eagles and Red Tailed Hawks. Beth Lynch, whose blog you can find here and who also writes on Pagan Square, seems to have impeccable timing. When I was feeling lost she mentioned her book, Water from the Well and Other Wyrd Tales of Odin, which I promptly bought and have burned through already. I can’t explain how helpful it has been. I feel much calmer and connected to Odin and the Norse Gods in general. I was wondering where to start with ritual practice, lo and behold she posted the first in a series of “how to” articles on Pagan Square, which you can read here. She also spins yarn, which I have been called to do recently, her items are incredible and amazing and I want them all! Her Etsy store is here. Needless to say, she’s my new favourite person. On spinning and yarn and such. I am still floundering in the waters of NEW but I have found that Frigg, Odin’s Goddess-Wife, spins (among other things). So I have been slowing collecting information on her. I’m unsure right now if I am supposed to be emulating Frigg or actually talking with Her. Only time will tell. Since Odin is the centre of my practice at the moment I have designated Wednesday as my spiritual pursuit day. 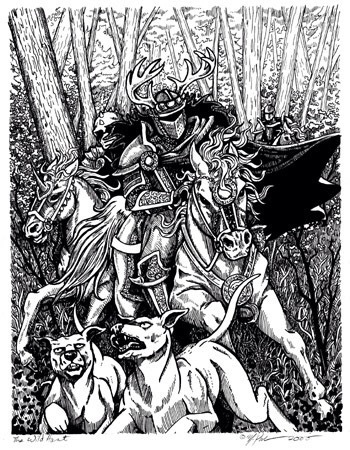 So every Wednesday (Woden’s/Odin’s Day) I will write in this blog at the very least. Hopefully get some spinning done and some crochet. Some educational reading is also on the list. As far as An Morrigan and Cernunnos go, I still feel Her, she is sitting calmly on the sidelines. I’m unsure if I still feel Him, Odin seems to overshadow any other Male influences. They are like my parents and I am the child who has just graduated college. They are there for me but I’m also kind of on my own. That’s how it feels right now anyways. My Druid studies are in a bit of a standstill. Hopefully I will get that going again soon. It’s been awhile since I posted. Things have been…interesting. My sense of time is shot so I can’t really say when this all started but here’s the story. I was feeling a major disconnect from my Gods. 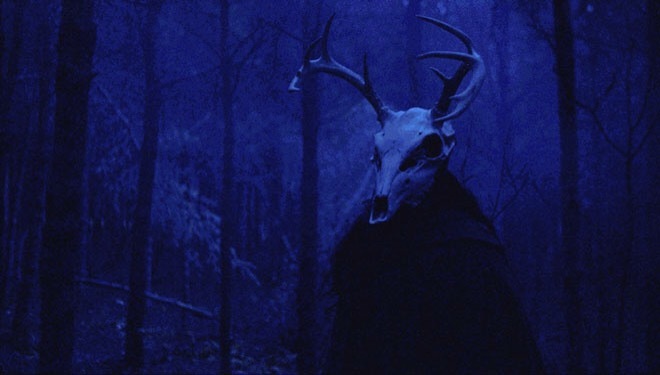 Which was very strange since I had so much intense contact with Cernunnos up to that point. I felt adrift and lost. Through various avenues I was led to Islam, more specifically Sufism. I dived head first into the literature. It resonates with me deeply. The Call to Prayer moves me to tears. The simplicity of it, the “pureness” of it seemed to click. I am still reading feverishly but there have been some interesting developments. I have taken Shahada myself and do consider myself a Sufi Muslim. The funny thing is I still consider myself a Celtic Reconstructionist Druid. Complicated I know. I guess it was a month, maybe two? I read and studied and felt at home in this faith. There was a deep pang of loss though. As if people very near and dear to me had died or I was living on the other side of the world and wasn’t sure of if I would ever see them again. A dear friend of mine, who is also following the Straight Path that Islam teaches, we basically converted at the same time, wrote to me of her own inner conflict. She spoke of the call of the Celtic faith, in particular the Bandruid (female Druid’s) of Avalon and the Call of the Land. I had one of my moments of sagely wisdom which I will find eventually and add on to the end of this post. Basically what I told her was it was totally okay to feel these things and it would be totally okay to practice it. I even found scripture from the Qu’ran to back it up. Shortly after that some of my fellow members of Ord na Darach Gile invited me to the new Grove they had started, the Druid Grove of Two Coasts. I immediately felt at home and read about the apprenticeship they offer and felt compelled to start it. I did not start right away though. Now I was feeling conflicted because of my belief in Sufism. Could I study both? Seeming as far as my view of the Divine goes the Many are One and the One is Many, I didn’t see why not. But still I hesitated. Then the dreams started. Not those fuzzy dreams you barely remember in the morning. Those dreams that kick you in the gut, that you can feel physically, mentally and spiritually for DAYS afterwards. Two nights in a row I dreamt of my father, of him leaving my mother, divorcing her. I wept and my heart broke and I kept asking him why and he would never give me an answer, just give me this broken hearted look. The next night I dreamt of a woman, who was a friend of mine, not someone in real life, I think it may have been a representation of me. I was living with her and she was married to this man who came across as a nice fellow but the more time you spent with him the more you realized how much of a misogynist he was. Something happened, I don’t remember what but he became angry and the woman pleaded with me to stop whatever it was that I was doing and I remember saying, “He really doesn’t like to share the spotlight does he?”. My mother then appeared at the door with a baby carriage and smiled at me and I knew I had to go with her. I tried to convince the woman to come with me but she would not. So I walked out with my mom and the baby, we walked through a housing complex to a minivan which was hers, she stood beside it and smiled as I kept walking. I don’t know of I pushed the carriage or if it just came with me but I arrived at this large white house and walked up the stairs to the front door. My father was standing in the driveway, smiling up at me. 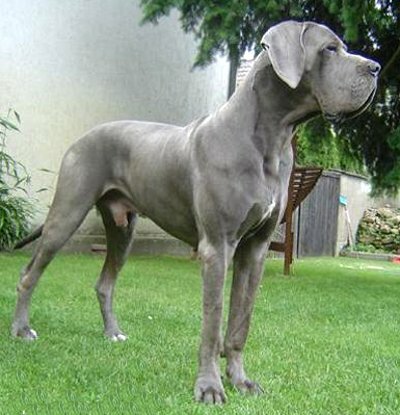 I rang the bell and opened the door and this HUGE white dog, kind of looked like a Great Dane, looked like this fellow but pure white, greeted me with a huge doggy smile and stood up on his hind legs, putting his paws on my shoulders, the joy that exuded of of him was amazing. Off to my left there was a young man, smiling so very warmly at me, I believe he was holding food. At his feet stood a red nose pitbull with a white chest who seemed very demure. The giant white dog took his paws off my shoulders and stood, wagging his tail and turned to the right to look at a woman, who I caught sight of just out of the corner of my eyes before I awoke. When I opened my eyes I felt a very strong sense of welcoming, like a welcome home. It just so happened that day I had applied for and accepted my Apprenticeship with the GoTC. A few days later I had a very intimate dream involving my Beloved who for some reason appeared as Barney from How I Met Your Mother. How’s that for comic relief? He usually appears to appears as a young man with blond hair….but Barney?? I need to muse over that some more. So needless to say I have been welcomed “home” in every way possible.